Crises are an inescapable reality that organizations must be prepared to face and experts agree they can happen to any company regardless of size. Corporate executives understand that crises can make or break companies. They can inspire major changes to how organizations operate as they face difficult challenges and reinvent operations. When it comes to the needs of stakeholders, the decision-making process requires careful consideration. Millions can be spent by entities for crisis management services. Business news headlines often highlight the effect a single organization’s crisis can have on others. In some cases, the impact is felt nationally or internationally as public relations practitioners become fundamental in managing crises. Experts underscore the need to respond using lessons gleaned from experience, but not everyone rises to the occasion in a crisis. Top management is not immune to the phenomenon. Fear and anxiety may cause ill-prepared individuals to react or overreact in ways that make the situation worse. Poor handling can disrupt operations leading to financial loss and creating a ripple effect extending to the loss of market share and jobs. Some give rise to countless lawsuits that may damage the company’s reputation. Crises resulting in injury or deaths have a negative impact on finances and reputation as well as a lasting impact on people’s lives. Effective crisis management deals with the threats sequentially. The primary concern lies with addressing the core issues. An accident leading to physical harm requires clear solutions surrounding safety and empathetic transparency. Public relations practitioners recommend addressing reputation and financial risks after resolving the core issues. Making an accurate assessment of the situation provides clear insights, which helps formulate an effective crisis management plan. Companies deal with difficult situations more effectively using plans updated at least once a year. Experts also advocate testing the practicality of crisis management plans and teams regularly. Although the team’s composition varies depending on the nature of the crisis, some of the common members include security, legal, human resources, operations, and finance. 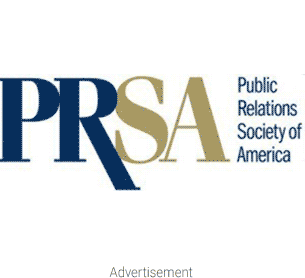 Media relations address reputational risks, which may lead to financial loss if neglected. Spokesperson training is a vital aspect of training, and crisis team members need to create draft message templates used to insert vital information allowing the legal department to review and pre-approves the messages before any crisis occurs. This helps speed up the process and eliminate legal risks. It is becoming increasingly common for companies to create a dedicated crisis website. Research shows that a separate crisis portal is the best practice allowing journalists, stakeholders, and the public to access up-to-date information. This approach is also ideal for companies handling regular product recalls, such as automobile firms.